News clipping from New York Daily News. Jan. 1, 1941. Frances Sliwa and Stephen Popick last couple to be wed in 1941. 1940 was a year to remember. The war in Europe was escalating, and everyone was anxious. It was only a matter of time before the United States jumped into the fray. Everyone was living on the edge. The U.S. instituted the first peace time draft, and young men were called to military service. Young people, not knowing what would happen next, wondered if they would be sent off to war before their budding romances had a chance to bloom. The uncertainty of the times lent a feeling of urgency to lovers and many married quickly before the inevitable call to war. It was in these uncertain times that Steve and Franka's romance began. Stephen, called Steve by his family, was born in New York City in 1916 to Russian/Polish parents who emigrated to the United States in their teens. They lived in a small apartment in a Russian/Polish neighborhood, and enrolled their children in a Russian Orthodox school. Prokopi was a hard worker and thrifty. When Steve was in 4th grade, Prokopi had saved enough to buy a farm in Kingwood, New Jersey and moved his wife, Stella, and his children, Stephen, Stella, Lillian and Elizabeth out of the city. Prokopi continued to work in New York City as a presser for a tailor. During the week he stayed in their NYC apartment; on weekends he took the train home to the country bringing sacks of bagels, rye bread, lox and a selection of delicacies from the Jewish delicatessen in the city. 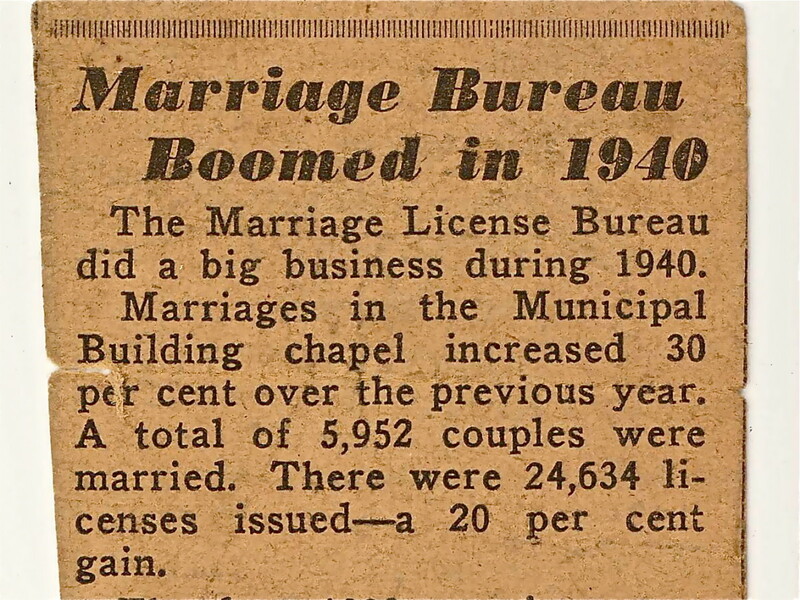 News clipping from Jan. 1 1941. Marriages increase as couples anticipate wartime separation. On the farm, Stella and the children took care of the cow, a few geese, some chickens and the garden. Steve and his sisters went to a one-room schoolhouse in Kingwood where they learned English and all about country life. They spoke Russian and Polish at home and English in school. Many of their neighbors were also of Russian or Polish heritage, so the family felt quite at home in the small community. The neighboring families socialized, traded produce and helped each other with their harvests. Stephen grew up working the farm, playing in the fields and woods with his sisters and the neighboring children. When he graduated from 8th grade, his parents decided that it was time for him to take more responsibility on the farm, and Steve left school for good. Average household wages per year $1725. World War II was in progress. Walt Disney released his first feature film, Pinocchio. Swing music was the mostpopular music and Frank Sinatra was every girl’s dream. Ava Gardner and Humphrey Bogart were the popular movie stars. Ernest Hemmingway wrote For Whom the Bell Tolls. A gallon of gas was 11¢ and a new car cost around $850. $100 in 1940 was the equivalent of about $15,000 today. Germany invades Denmark, France and Belgium. Germany bombs Paris and London. The U.S. institutes the first peacetime draft as the war in Europe escalates. Nylon stockings go on sale for the first time. They cost 20¢ a pair. Meanwhile in a nearby NYC neighborhood, Frances, called Franka by her family and friends, was born in 1917 to Polish immigrant parents, Stanley and Frances. 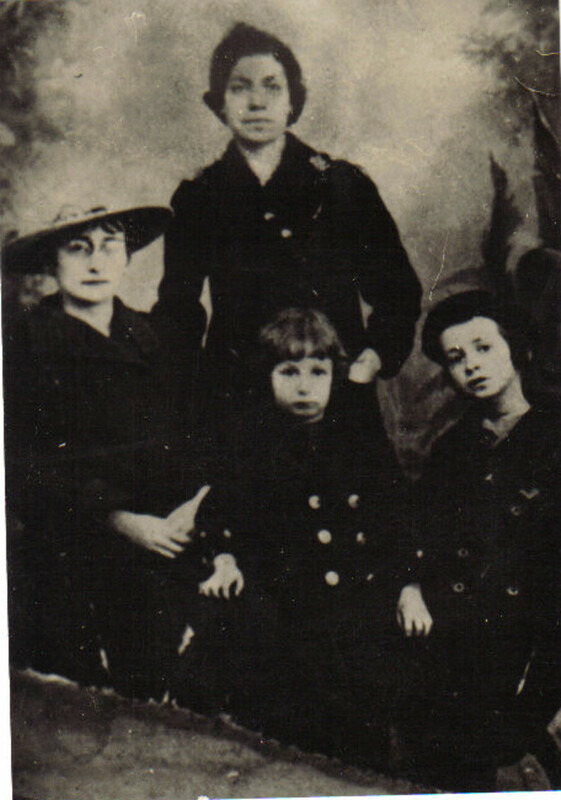 Frances's mother had come with her daughter from Poland, but was never happy so far from her homeland even though she lived with Frances, Stanley and her grandchildren. When Franka was seven years old, Frances' mother was so unhappy and finally convinced Frances to travel back to Poland with her and the three young children, Franka, Sophie and Stash. The plan was that Stanley would work in the U.S. as a shoemaker for a couple of more years, then return to Poland with a nest egg for the family. However, when Frances and the children reached Poland, things were not as she remembered. Times were harder and the village was less welcoming. While they were back in Poland, her mother drowned in the river as she gathered firewood. Frances missed Stanley as well as life in the U.S. Through the slow mail system, they decided that she would bring the children back to the U.S. Unfortunately, her visa ran out while she was out of the U.S. and she was unable to return. It took five years to arrange passage back to the U.S. Meanwhile, Franka and her siblings, although U.S. citizens, started school in Poland and learned to read and write in Polish. They forgot most of the little English that they knew. When Frances returned to the US with the children, little Franka was twelve years old and did not speak English. The passage back was rough, and the Franka was terribly seasick. It was a huge relief to finally sight land and be reunited with the father she barely remembered. Franka and her brother and sister were enrolled in the New York City schools where they had to relearn English and try to catch up to their grade levels. Even though they had all been born in the U.S., their lack of English and recent arrival from Poland made them immigrants in the eyes of their teachers and classmates. It was very difficult for Franka, and she turned to books as her solace. She had learned to read Polish, but not English,and discovered that the New York City library had books in Polish. There were no children's books in Polish, but there were all the classics, so, at twelve years old, Franka read the classics in Polish while she struggled to learn English in school. Franka’s life as a city girl was much different from Steve's life on the farm. Her mother worked in the Horn and Hardart cafeteria and was gone much of the time. Her father was a shoemaker with his own little shop in the neighborhood. Franka and her brother and sister were on their own much of the time, free to play games in the streets or explore the city. 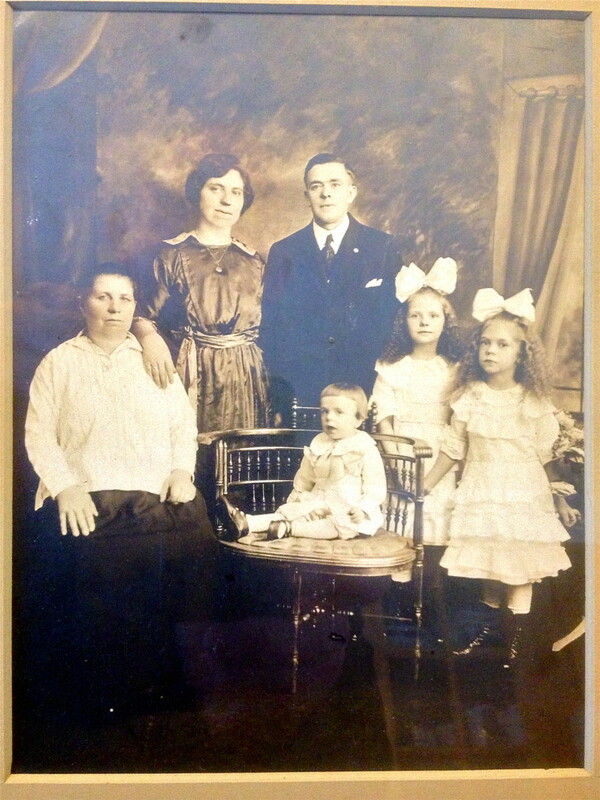 They lived in a Polish section of the city and were surrounded by other immigrant families. Parents felt safe letting their children play in the neighborhood or to navigate the subway and bus systems of the city on their own. When Franka was in her early teens, she was lucky enough to be able to spend her summer in the country as a Fresh Air Kid and was sent to a farm family in Kingwood, New Jersey. She saw fields and cows and forests for the first time. The family she visited had a daughter her age, and she and Olga became fast friends. Steve’s family lived about a mile from Olga’s. He and his sisters went to school with Olga and her sister, and knew each other well. The families socialized, and the younger generation picnicked and often hiked to a popular swimming hole called High Falls. In the summer, the older kids were drafted to help load the hay wagons and bring in the harvests. 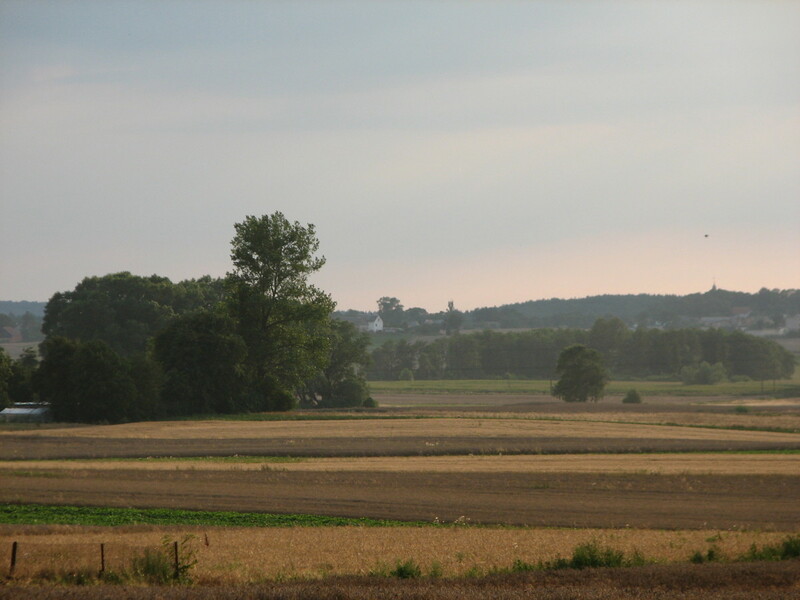 The city girl, Franka, joined the family in their farm work, and so Steve and Franka met. At summer’s end, Franka went back to the city to continue school, but at 16, she quit school to enter the workforce in the garment district. It was exciting for her to earn her own money and to be able to contribute to the family income. A young woman of the city, she dated the boys in her neighborhood, went skating in Rockerfeller Center, went to the movies and visited Coney Island with her friends. She and Olga continued their friendship, and visited back and forth. Meanwhile, Steve stayed on the farm, taking on more responsibility in his father’s absence, expanding the crop farming and the dairy herd. He looked forward to Franka’s visits to Kingwood each summer. Sometimes, he accompanied his father into the city where he would meet Franka for a movie and dinner. It wasn’t until the summer of 1940 that the friendship blossomed into a romance. Neither family was thrilled with the idea. Franka’s family thought Steve was a country bumpkin and that his prospects as a farmer were bleak. Franka’s mother, a devout Catholic, objected to his Russian Orthodox background. They didn’t want their daughter to move away from the city. 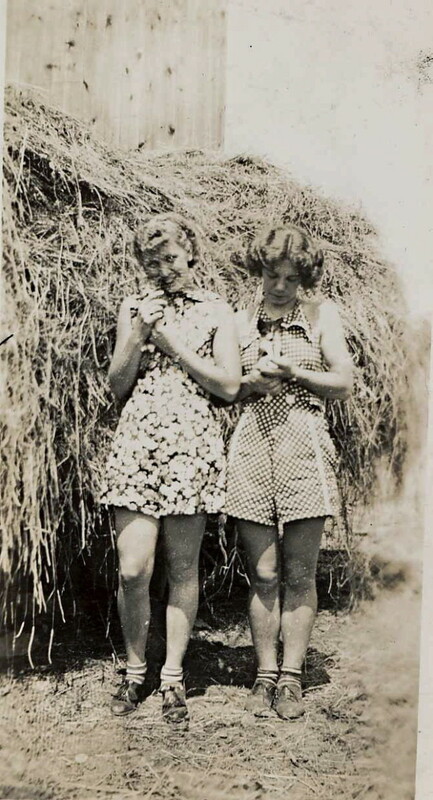 Steve’s family thought that Franka was a bit standoffish and didn’t think the “city girl” would fit in on the farm. They didn’t like that she was Catholic and would probably want to convert him. In spite of this, Franka and Steve became secretly engaged. After a rather romantic Christmas Eve, Steve and Franka were reluctant to part again. At twenty three and twenty four respectively, they were ready to be married and be together permanently. Before Steve left to go back to Kingwood on Christmas Day, they decided it was time to get married. They would elope. In the city it was easy to get a marriage license and walk into City Hall and get married. 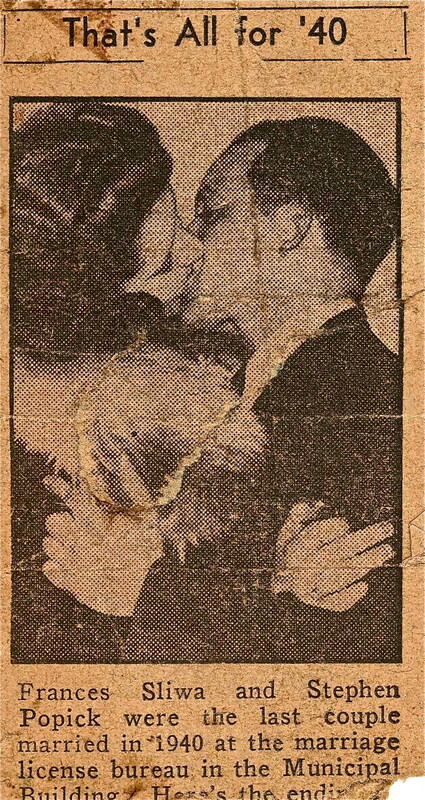 Photograph of my parents appeared in the New York Daily News on New Year's Day surprising my grandparents! On December 31, 1940, Steve caught the train back to the city. Dressed in their best clothes, Steve and Franka hurried to City Hall, telling Franka’s parents that they would be going to dinner and then to Times Square for the New Year's celebration. At 4 o’clock in the afternoon, just before the offices closed, Franka and Steve were married by a New York City Justice of the Peace in City Hall. They were the last couple to be married in 1940, and a photographer captured their kiss on film as they were pronounced husband and wife. The next morning, New Year’s Day 1941, the NYC Daily News featured a picture of the last couple to get married in 1940 on their front page. And so, Franka's father, glancing at the paper before heading off to church with his family, saw a picture of his daughter and new son-in-law as they sealed their wedding vows with a kiss. Thus, Franka and Steve’s marriage was announced to her parents, their friends and relatives.Their first day as husband and wife was filled with tears, recriminations and rantings in three languages as parents and newly weds confronted each other. Frances and Stanley were livid with their daughter and refused to recognize the marriage since it was outside of the church. They confined Franka to her house until the sinners could be properly remarried by a priest. Steve was sent home to await arrangements for a church wedding. Without a telephone on the farm, Steve's parents didn't learn of the marriage until the next day, so were blessedly out of the ruckus. Back on the farm, Steve's parents were also surprised, but he was their favored child and they soon accepted his decision. They invited all the neighbors and threw a good old fashioned Russian party for their neighbors with freely flowing vodka and whiskey for all. In late January, Franka and Steve were married by a priest. With the blessing of the church and their families, they moved out to New Jersey to the farm, but the city soon drew them back. The U.S. entered the war, and Steve was anxious to do his patriotic duty. After their first child, Stephanie, was born in 1942, they moved back to the city with it's lure of better jobs and opportunities. Steve was devastated when he was rejected by the military because he failed the physical. He was blind in one eye from a childhood sledding accident and he had also lost a finger on his right hand due to blood poisoning. Determined to do his part for the war effort, he got a job in the Brooklyn Navy Yard building ships for the war. Their second child, Robert, was born in the city in 1945. Franka and Steve eventually moved to New Jersey where they raised their four children, but they always had a bit of wanderlust in their blood, moving from house to house in central NJ their whole lives. 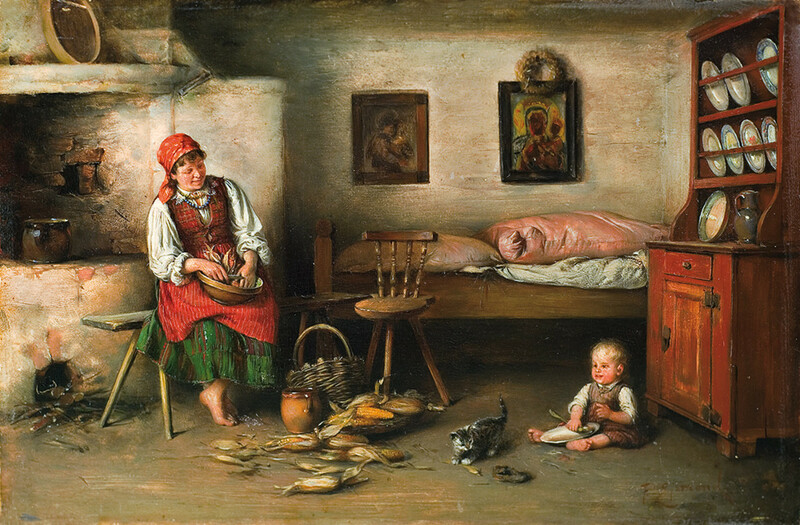 They carried on many of the traditions of their Polish/Russian heritage and passed them down to their children and grandchildren. 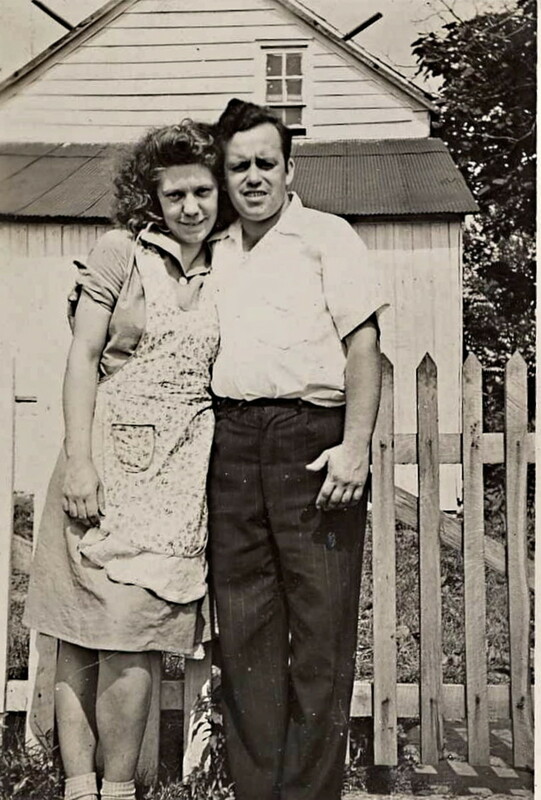 Franka and Steve were married for fifty eight years. Every New Year's Eve, they threw a party to celebrate their first romantic New Year's Eve and told their story again as they celebrated their very special New Year's Eve anniversary. Franka and Steve were my parents, and this is a true story as it was told to me by my mother. Since there was never any written family history, there are a few gaps in the story and a few guesses as to the sequence of events, but the basic facts are accurate. 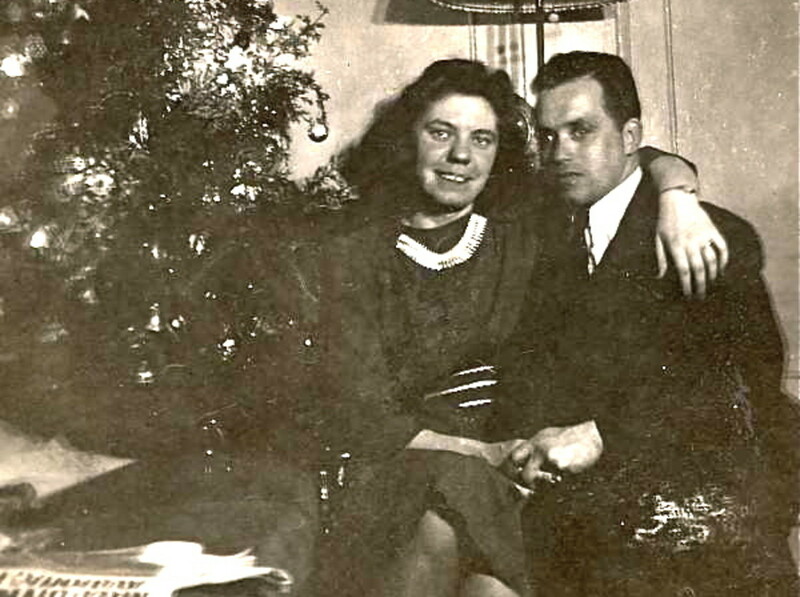 I hope you enjoyed this story of a romantic New Year's Eve in 1940. Its a beautiful love story. I enjoyed reading it. Thank you. You wrote the kind of article that movies are made of! Keep up the great work! Swilliams - Thanks you for your comments and for the read. I think of my parents' story each New Year's Eve, and I'm so happy to hear that others enjoy reading it. What a beautiful story Stephanie! I loved the pictures. Great Article! HI Sunshine! Time has certainly flown! Thank you for all of your support this past year. Best wishes for a happy, healthy New Year for you and your lovely family! Wow! It's difficult to believe a year has past since you wrote this beautiful story. Thank you again for sharing. Happy New Year! Schoolmom24 - My mother would tell this story on every anniversary and I never tired of hearing it. I'm so glad that she saved the news clipping so that I could preserve it here. Thanks so much for your lovely comments! Levertis Steele - I'm so glad you enjoyed this romantic story. I think that we could all learn something from couples like this who have had long-lived marriages. A willingness to work through rough patches rather than giving up is one reason they lasted so long. Thanks for stopping in to comment! I love clean, romantic stories! Even though the parents opposed the marriage initially, something was right about it. It lasted 58 years! When I think about the many divorces of today, I wonder what present-day couples could learn from marriages of those days gone by. DexisView - I'm so glad you enjoyed this romantic bit of my family history! Thanks for reading and commenting! Pinto2011 - This is a story that I always love to tell. By writing it here, I've preserved a bit of family history. Thank you so much for your kind comments! prettynutjob39 - This is one of my favorite stories of our family's history. Thanks so much for reading and for your very nice comments. I think you have explored your true writing potential through writing this nice and beautiful family history. This story is beautiful, voted up, shared and much more. Frangipanni - This story will be passed down to our children and grandchildren, and gives so much insight into their grandparents' history. Thank you for stopping by and for your comments! Oh what a love story. How nice to know your family history like that! Askme - Those turbulent and uncertain times had such an impact on our parents and grandparents - it's hard to imagine. I think that knowing some of the personal stories does make history more real and,as you say, humanize, it. Thanks you for coming by to comment! Loved it. Wonderful story. I am always drawn to the WW II years and enjoy hearing family history-even if it is not mine-as it helps humanize history. Old Albion - I'm so glad you enjoyed my parents' story. They have both been gone for years, but New Year's Eve is always a reminder for me of their romance and marriage. Thanks so much for your comments and share! Hello Stephanie. Congratulations on this heartfelt story of love and loyalty. I enjoyed it so much. Excellent. voted up and all and following and shared. Peggy W - I do wish I had better copies of the old newspaper clippings as part of mine have disintegrated, but I do enjoy looking at them and remembering their story. Thanks so much for your nice comments and for sharing this story with others. What a wonderful story and knowing that it is true and that it is about your parents makes it all the better. Thanks for sharing it with us. They certainly had a nice long marriage and probably loved every New Year's Eve as it came along. It is great to have those old newspaper clippings, although your grandparents were probably not too thrilled at the time. Up, interesting and beautiful votes and sharing this nice story with others. Tipoague - I never noticed my resemblance to my mother when I was younger, but I do as I get older. I always enjoyed hearing this story as I was growing up, though I'm not sure my grandparents ever thought it was funny. Thanks so much for your comments! You look so much like your mother. I was about half way through the story when I noticed the resemblances. What a wonderful story to grow up with. I could only imagine the look on your grandfather's face as he read the news. This does put an interesting and fun spin on ringing in the New Year. This is what legends are made of. Thanks for sharing a bit of your history. Jackie Lynnley - It always seems that the year's end brings on nostalgic reflections, and this is one story that has special meaning. Now that I've published it, some other family members are sending me more information which makes it even more special. 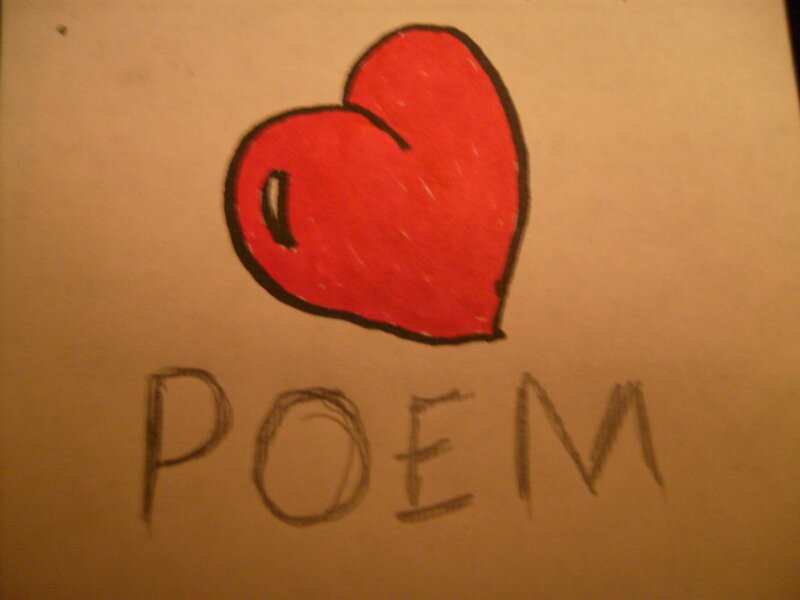 Thanks for reading and for your lovely comment! Well I am not much for sentiment but I must admit it really got me, lol. I am about as near to tears as I have been in a long while. You tell a great story and I knew somehow who you were speaking of from the beginning. Probably a rare thing if both sets of parents do approve of a marriage, don't you think? Glad yours were determined. JayeWisdom - It's fun to retell this story so many years later, but I'm sure at the time that my grandfather didn't thing it was delightful! :) Thanks so much for stopping in to comment, Jaye! fpherj48 - How interesting that we share such a similar bit of family history right down to the marriage in City Hall. It's hard to believe that a 23 year old woman would stand for her parents separating her from her legal husband because she didn't have a church wedding, but I guess my parents weren't unique in this. Yes, thing have certainly changed! How nice to hear from you, especially after Sunshine spoke so highly of you! Thanks for stopping in to read and comment! Diogenes - My parents did have their ups and downs, but had a deep commitment to each other for all those years together. I did feel lucky to have grown up in the USA during the era I did. Thanks for your comments, Bob. Nice to hear from you! FreezeFrame34 - Of course, New Year's always reminds me of my parents' romantic New Year's Eve story. Happy New Year to you too! Mhatter99 - So many of our family stories are passed on by word of mouth. I do feel good about getting this one written down. Thanks so much for your comments! What a delightful story, Stephanie! I can imagine your grandfather's surprise at seeing your parents' photo in the newspaper--a picture which prematurely "let the cat out of the bag" about their elopement. Thanks for sharing this romantic story from your family's history with your readers. Stephanie......A sweet, wonderful, loving story of an exceptionally "Romantic" New Years' Eve marriage. The era, the Orthodox background and the B&W photos, brought some great memories of my own parents. Oddly enough, Stephanie, my parents were married at City Hall, as well, because my Dad was off to report for Military duty and wanted to do so as "married." Rest assured, my maternal grandparents sent their oldest son to "chaperone," and bring my mother home directly! The actual Church marriage took place when my Dad returned. Oh...how things have changed! This is a lovely story and I thank you for sharing it with us. Lovely story of love and commitment which i envy as my parents divorced when I was 12 and mum died when i was 26: dad was not dad material. What a great story to pass on! Happy New Year! What a romantic take. Thank you for relating it. Now that it is on the internet it will never die. Sunshine625 - I used to make my mom retell the story of my grandfather seeing the picture...it was so funny to me. I'm sure no one thought it was funny at the time, though! Both of my parents have been gone for many years, but I do enjoy the memory of laughing about this with my Mom and remembering the New Year's Eve celebrations they used to have when I was a kid. Happy New Year to you, too, Linda! Hi Steph! What a wonderful, beautiful, amazing story! I was lost in your parents journey and enjoyed it immensely!!! What a way to bring in the New Year and I could only imagine the expression on your grandparents faces when they saw the newspaper photo! Thank you so much for sharing! Happy New Year! 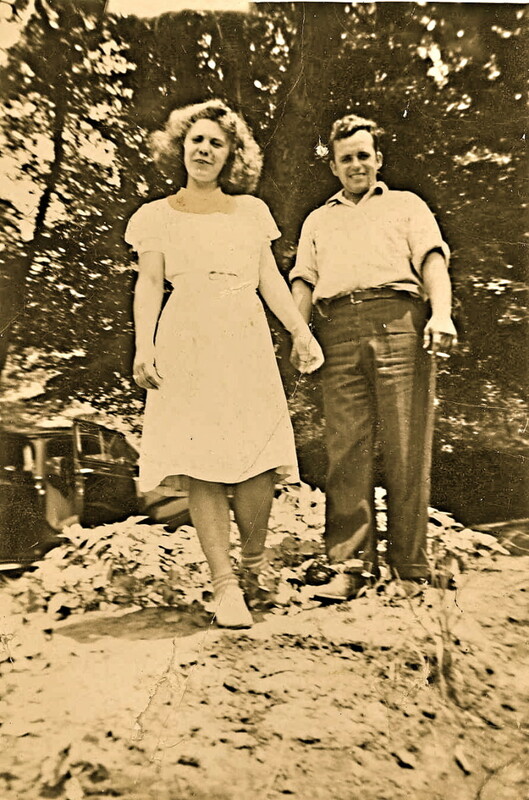 Suzie HQ - Even as a little girl, I remember seeing those newspaper clippings in my mother's scrapbook and I loved hearing the story of how my grandparents learned of their marriage. It was fun to share the story...I'm so glad you enjoyed it! Janine Huldie - I'm so glad you enjoyed my parents' story, Janine! It was something I've wanted to write about before the details were lost, and I'm so happy that other people are enjoying it, too. Thanks for reading, commenting and sharing! Daisy Mariposa - Thank you! I always thought this was an interesting and kind of funny story, though I'm sure it wasn't funny at the time! I did enjoy sharing it and I'm glad you enjoyed reading it! What a gorgeous story of your mum and dads life. I was glued to every word. 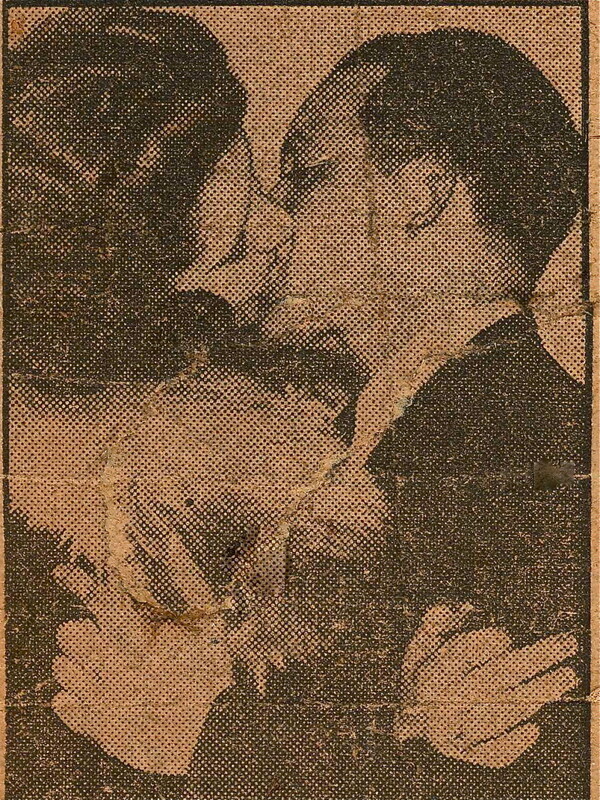 How amazing for them to be the last couple married in 1940, what a piece of history with the press cuttings. Beautifully written, voted up, interesting, awesome. Congratulations on a wonderful article with lovely family photos. Oh I absolutely loved the story of how your parents, met, fell in love and married. Thank you so very much Stephanie for writing this and sharing. I was hooked from the very beginning right up to the end. Such a beautiful story and very much a wonderful love story. Have voted way up and shared all over, too!!! Wow! Thanks so much for sharing your parents' story with us. This article was absolutely wonderful.